I was out with peers and superiors having coffee and apps. We went to Bryant Park. Behind the big NY Public Library there are these two places, one is like an outdoor bar, the other is more of a restaurant. A co-worker suggested we go there. I used to work near there two lives ago. The place for drinks was jammed every Thursday Happy Hour. I’ve been to the restaurant a few times too. We got to the restaurant and it was closed for a private party. HOWEVER the roof deck was open to the public. AWW YEAH. Coffee and snacks on a rooftop deck on the boss. All goes well, talk talk talk, bella nice nice. Then all of a sudden, there it was: the smell of pot. Let’s just say, I DEFINITELY know what that smells like. 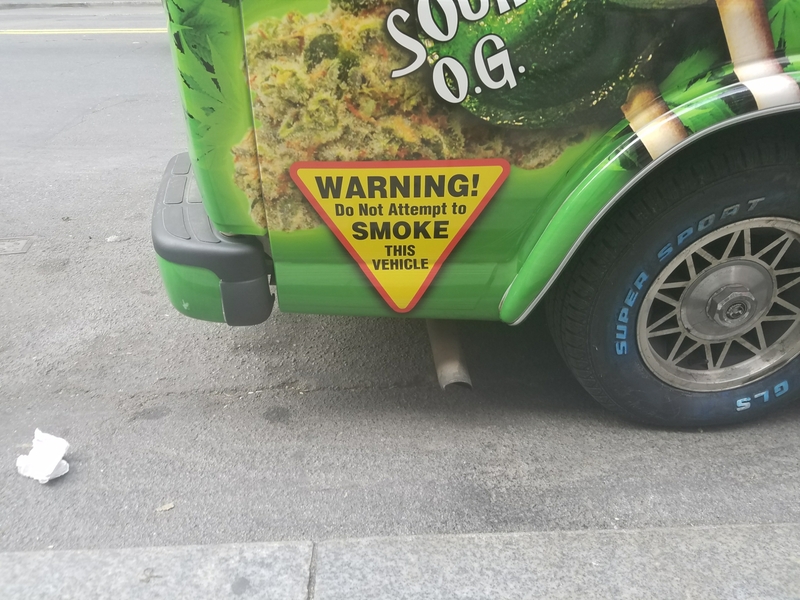 NY has gotten very laid back on the status of pot. I’m not sure what it is anymore. I smell it all the time walking down the street. I even smell it sometimes while DRIVING. 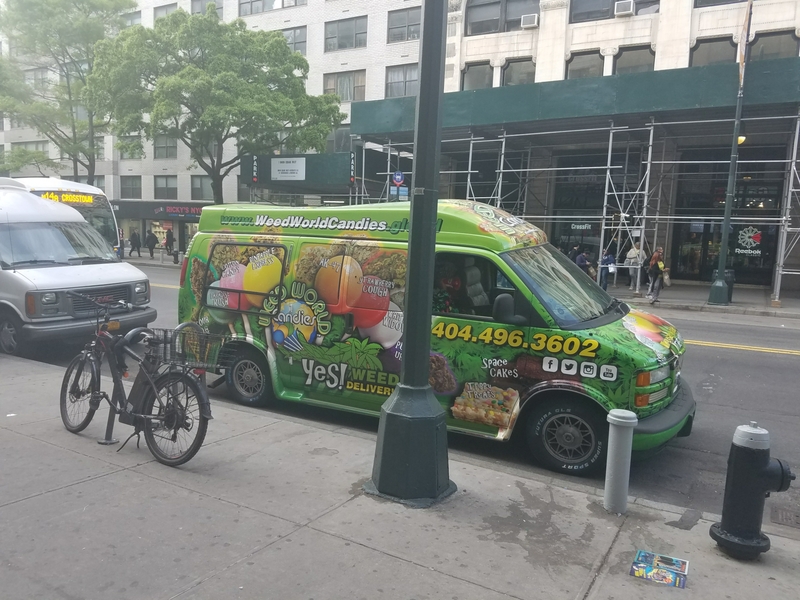 The other day I saw a van and it was decorated saying that they sell weed. Not sure if it was real. Anyway, there I was on the roof deck with peers and bosses… and the smell of pot. I didn’t think it wss appropriate to be the first to say “whoa, did you smell THAT? !” I thought it was best to be prudent… at this… juncture (to quote Dana Carvey’s George H W Bush.) I didn’t think it was wise you reveal my knowledge and thought I’d wait to see what the bosses said. Conversation went along with no mentions. THEN we all chimed in. Yeah, it sure was. NY is loosening up” etc etc. Gotta be careful eco knows what about me.